10% off for bookings departing in May or June! 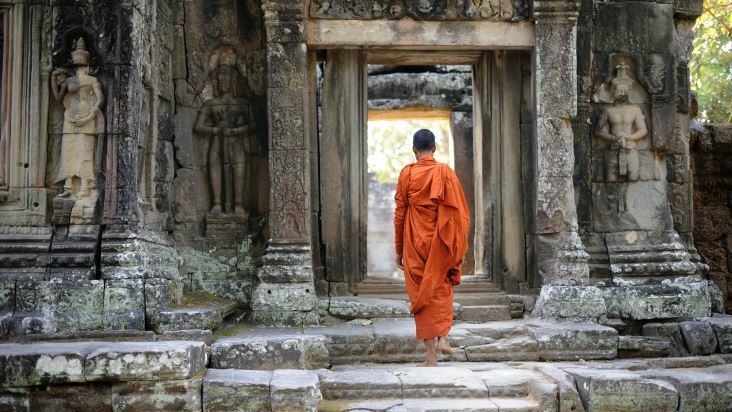 Experience the Highlights of Cambodia as you travel to Phnom Penh and Siem Reap. 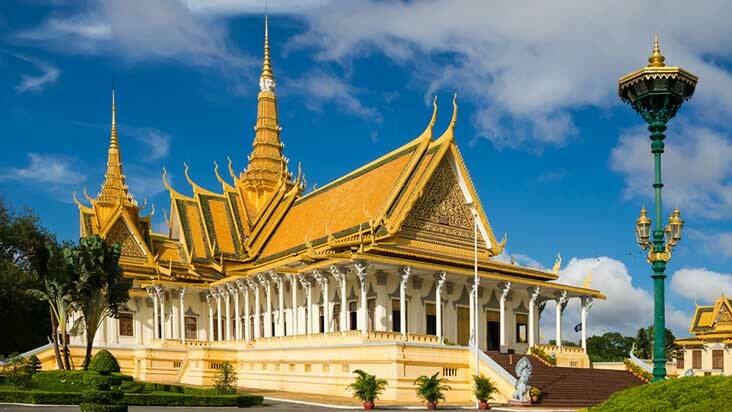 Starting in the riverside capital Phnom Penh, long considered the most beautiful French built city of the Orient, explore the Royal Palace and Silver Pagoda, the haunting Tuol Sleng Museum and the Killing Fields of Choeung Ek. 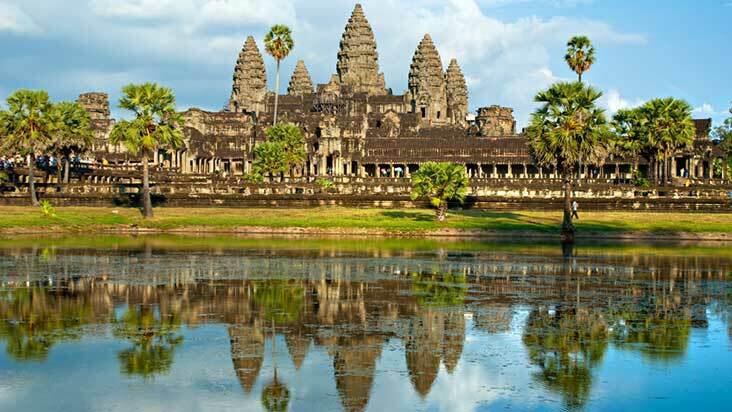 Travel to Siem Reap and the fabled city of Angkor, eighth wonder of the world and spectacular ancient capital of the powerful Khmer Dynasty. 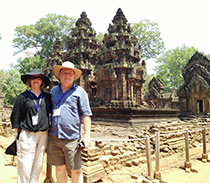 Discover temples such as Angkor Thom, Ta Prohm, Banteay Srei, Beng Melea and the breathtaking Angkor Wat. Situated 17 kilometres (11 miles) from Phnom Penh town, Cheung Ek was made famous by the movie “The Killing Fields”. The seemingly peaceful stretch of green fields of Cheung Ek does not allude to the horrors that took place here. A large memorial commemorates the 17,000 men, women and children, who died here under the reign of Khmer Rouge leader, Pol Pot. The skulls and bones inside the memorial stupa and the mass graves that dot the area are a reminder of the terrible suffering that occurred here. 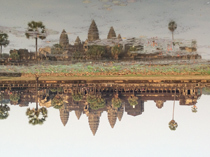 This journey into Cambodia’s past will provide you with a background to the cruelty of the Khmer Rouge regime. 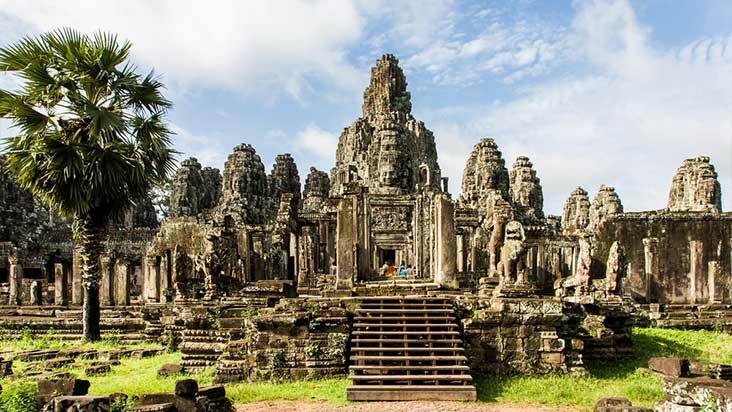 Besides the tragic past, it will also give you an appreciation of the struggle that Cambodian people have faced and their tremendous courage to move on and rebuild their nation. 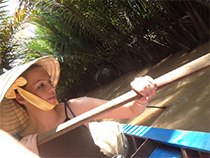 Enjoy free time to explore Phnom Penh for the remainder of the day. After your afternoon tour you will be driven to your hotel and your guide will assist you with checking in. Before leaving you at your hotel, your guide will make arrangements for the following day and can also provide restaurant recommendations for tonight's dinner. Depart with your guide and drive through the Cambodian countryside to Beng Mealea, located in the beautiful rural hinterlands of Siem Reap. Beng Mealea is a sprawling jungle temple built by King Suyavarman II in the early 12th century and thought to have served as a prototype for Angkor Wat. The temple is enclosed by a huge moat and largely reclaimed by jungle with its stone walls crumbling, adding to the atmosphere and charm of the site. Enjoy a simple lunch in a traditional Cambodian wooden house before heading to Banteay Srei temple, the jewel of Khmer art, built in the 10th century and dedicated to the Hindu god Shiva. This red sandstone temple is one of Angkor’s most significant structures. 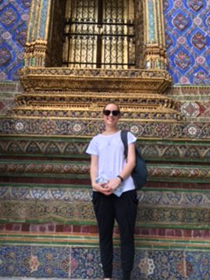 The temple walls are covered in elaborate and well preserved carvings that provide an insight into the Angkor people and their beliefs. 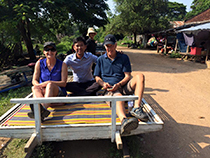 In the late afternoon, return to your hotel in Siem Reap. 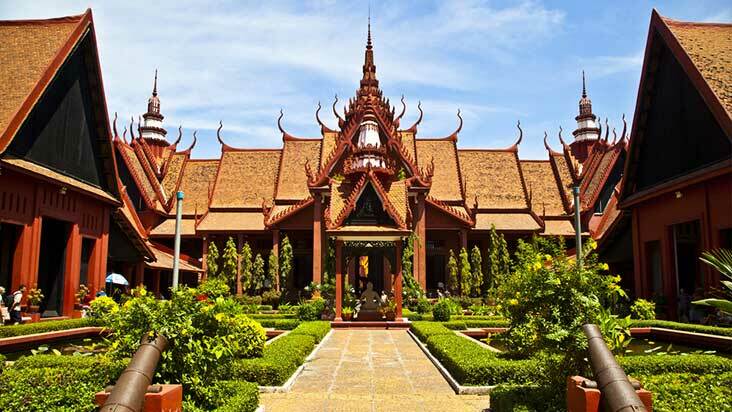 This trip package includes 1 internal flight (Phnom Penh - Siem Reap) which retails at about 200AUD.